Earlier, Ramaphosa had arrived at Bole International Airport in Addis Ababa on Saturday to lead a high-level SA delegation at the AU session. 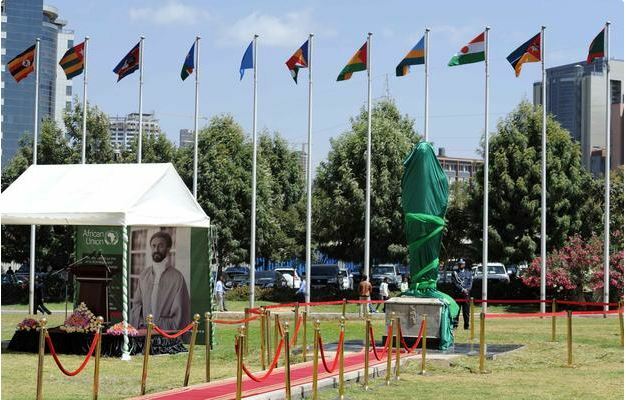 “The commemorative statue of emperor Haile Selassie is an important recognition of the emperor’s contribution to Africa’s liberation and unity leading up to the founding of the Organisation of African Unity in 1963,” the international relations and cooperation department said in a statement on Sunday. Earlier, the presidency said Ramaphosa had arrived at Bole International Airport in Addis Ababa on Saturday to lead a high-level South African delegation at the AU session. “It presents an invaluable opportunity to reflect on and address the root causes of forced displacement in Africa,” it said. On Saturday afternoon, Ramaphosa attended a meeting of the Southern African Development Community (SADC) heads of state and government on the margins of the AU summit. The meeting received reports on the consolidation of SADC political efforts in supporting SADC member states and progress made in the implementation of the institutional reform of the African Union and in post Cotonou partnership agreement negotiations.